Vision Forum member Cecilia Ahlqvist is creating a sculpture park in her hometown of Skärblacka called Konstön. The first work was created by artists Jenny Berntsson and Felice Hapetzeder who call themselves "Local A" when they work as a group. 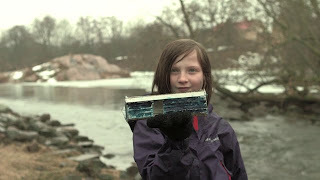 They have created a piece together with students at Mosstorpskolan in Skärblacka within the project Acting the City. There is also a bilingual catalogue (Swedish/English) that can be ordered from Norrköpings konstmuseum.